The International Law Reports is the only publication in the world wholly devoted to the regular and systematic reporting in English of decisions of international courts and arbitrators as well as judgments of national courts. 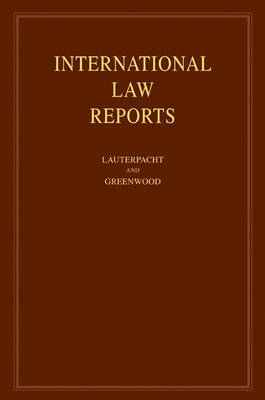 Volume 128 reports on, amongst others, the arbitral decisions and award and US decision in the Loewen case, the award in the arbitration between Newfoundland and Labrador and Nova Scotia concerning Portions of the Limits of their Offshore Areas, and State immunity cases from Belgium, Canada, England, France, Germany, Italy, the Netherlands, Spain and Sweden. 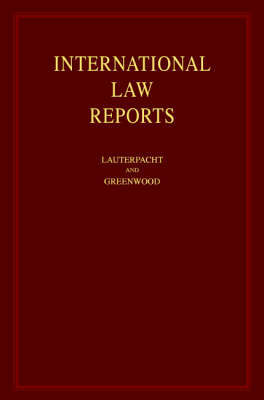 Buy International Law Reports by Elihu Lauterpacht from Australia's Online Independent Bookstore, Boomerang Books. 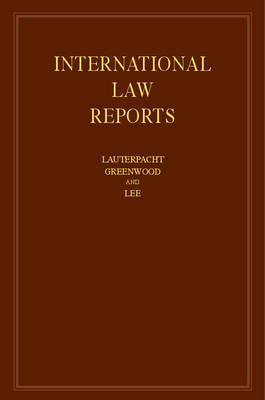 Honorary Professor of International Law, University of Cambridge. Bencher of Gray's Inn. Professor of International Law, London School of Economics and Political Science. Bencher of Middle Temple.